​There is a printing room located on every floor of the library. In addition to printers, users will also find the supplies needed to finish projects and papers. 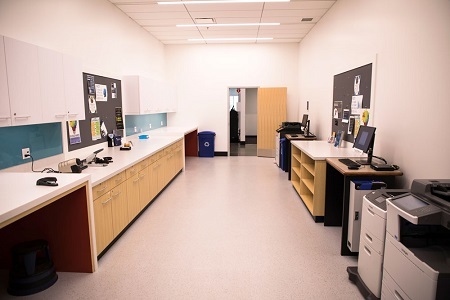 To meet various needs the library offers black/white and colour account printing (first add money to your account from a campus P-counter deposit station) and cash printing. To add money to your printing account using debit or credit please visit the Campus Card office located in the Bookstore. If your document doesn't print properly, the file format may not be supported. Convert the document to a .pdf or an image file. Coin operated photocopiers are available in the printing rooms on the 1st and 3rd floors.